Nearly 4 years ago there was uncertainty amongst the Disturbed fan base, as the band announced its hiatus for making new music and all other band functions. Members went off and attempted side projects and other ventures. It wasn’t until earlier this year that life started showing in the Disturbed camp, and they officially ended their hiatus in June. With this newest album, Immortalized, releasing just 2 months later. I’ll give the band credit for being able to keep things under wraps as well as they did. With everything possible being captured in today’s social media, this secrecy is no small feat. That is about where anything special with this album ends. I’ll admit I’m more of a typical everyday radio listener of the band; I’ve heard all the hits but never felt the urge to dive any deeper. Having sat through an entire playing of this new album I felt as if I was just hearing those same songs over and over. I kept flashing back to that YouTube video from a year or so ago about Disturbed’s Greatest Hit. Part of me hoped that with such an extended time off for the band that maybe they would come out trying something new. 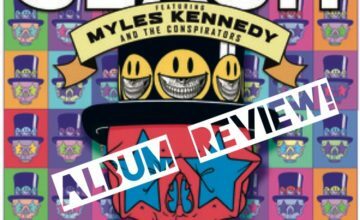 But, this is a band that appeals to the bulk of mainstream rock and they don’t need to change anything to get those people to buy their albums. 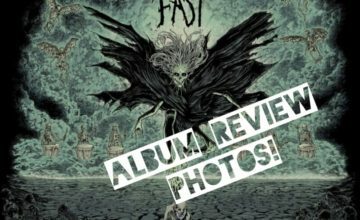 Now there are a few tracks that stand out above the rest that should see their fair share of radio play including title track, “Immortalized”, and “What Are you Waiting For”. These pack that tried and true Disturbed formula that will keep them in rotations on radio. 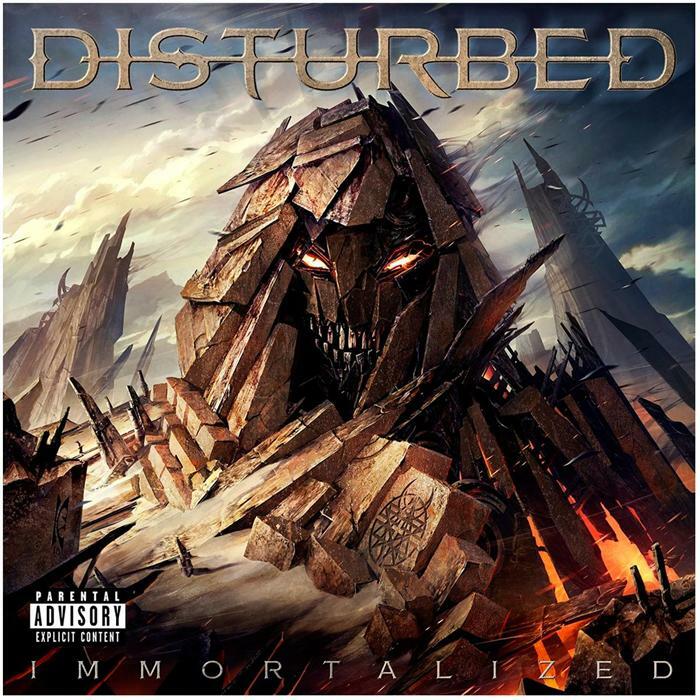 If you are a loyal and dedicated follower of Disturbed this album probably feels perfect, but being on the outside looking in I felt that this release was very lackluster and was just the band doing what they have always done. This is a great example of the ever expanding hard rock / metal universe, music won’t appeal to everyone all the time. For some this album will be played over and over. For the rest we will move on to something that fits us better. 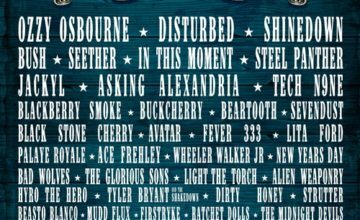 Rocklahoma 2019 Announced with Ozzy, Disturbed, and More!